PLM Tech Tips: Thinking About PropelPLM? Do This First. PropelPLM is a wonderfully flexible and powerful system with the power residing behind the curtain and not visible to end users. If you have any thoughts of implementing PropelPLM it is likely you will also have to deal with data migrations, customizations and configuration tweaks. Propel makes this comparatively easy but the framework may be a new experience for you. This is especially true if you are coming from a relational database and/or traditional application background. 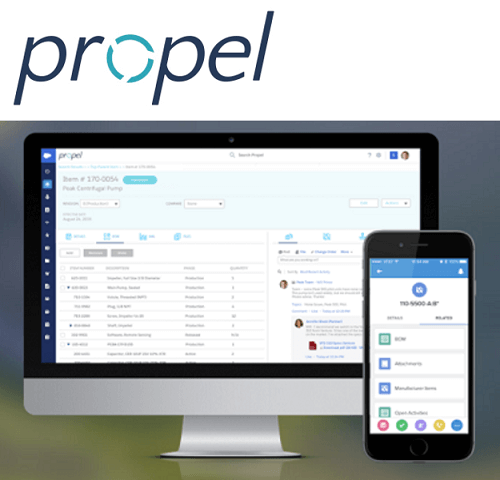 Propel is hosted on the Salesforce.com platform. This imbues PropelPLM with tremendous tools and opportunities. To be prepared to best take advantage of all that PropelPLM has to offer, you should be comfortably versed in Salesforce.com methods, terminology and opportunities. Your first stop should be extensive training available for FREE from the Salesforce Trailhead training environments. The Trailhead environment offers a blend of written explanation and hands-on exercises to help you fully understand the basics of Salesforce. Trailhead gives users free accounts and developer environments to work the exercises. Although Trailhead does not specifically address PropelPLM, the concepts are highly transferable. A great source for PropelPLM specific information is the PropelPLM support pages at Propel. These articles all, by necessity, assume a level of comfort with Salesforce concepts. If you are a current user of PropelPLM or just thinking about moving to this powerful cloud platform, check out the Trailhead learning paths.